Incredibly painful to treat, potentially disfiguring, and quite likely to severely impact quality of life in the near- or long-term, a patient's best line of defense against oral cavity cancer is a good offense in the form of primary prevention and early detection. 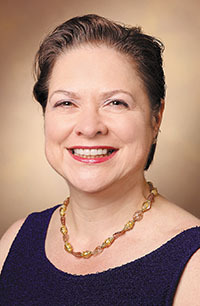 "There has been an increase in the number of oral cancers diagnosed in the United States on an annual basis," said Barbara A. Murphy, MD, director of Head and Neck Oncology and of the Pain and Symptom Management Program at Vanderbilt-Ingram Cancer Center in Nashville. The American Cancer Society estimates more than 32,000 cancers of tongue, mouth or other oral cavity location will be diagnosed this year. Between 6,000 and 7,000 deaths will occur in 2017 due to oral cavity cancers, which have seen a decline in the death rate stagnate over the last decade. To reverse the increased incidence trend, Murphy said it is incumbent upon pediatricians, family practitioners, dentists, and other primary care providers to make sure people fully understand the risk factors, particularly when it comes to tobacco usage. The medical oncologist noted many patients "don't realize smokeless tobacco increases risk for oral cancers." When a provider taking a patient history asks, 'Do you smoke?' and a patient who chews or dips tobacco truthfully replies, 'No,' Murphy said it is a missed opportunity for an important conversation. "We need to extend the question to smokeless tobacco ... it's about asking about the use of tobacco in all its forms," stressed Murphy, who is also a professor of Medicine at Vanderbilt University Medical Center. 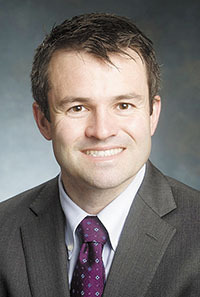 Benjamin J. Greene, MD, an assistant professor at the University of Alabama School of Medicine at Birmingham, added patients should also understand the heightened risk for oral cancer that comes with the combination of drinking and smoking. "The two work together. It's a synergistic effect," said the head and neck oncologist. Greene added the whole is greater than the sum its parts ... so the total risk for an individual who both uses tobacco and consumes alcohol is even greater than simply adding together the risk factor for each vice. He also noted there isn't evidence of e-cigarettes being any safer at this point. "It's really critical to recognize the role of dentists and dental hygienists in the early identification of oral lesions," said Murphy. Greene concurred, calling dental professionals a "first line of defense." He added that many people also go to primary care physicians with a lingering sore on the tongue or jaw and urged all healthcare professionals to refer such patients to head and neck specialists or an oral maxillofacial surgeon for a consult and possible biopsy. "If somebody has an ulcer or lesion in their mouth that hasn't healed in two weeks, it should be biopsied ... especially if they have a history of smoking or drinking," Greene said. "My thought is it's better to do the biopsy and then tell the patient it's nothing. It hurts to have a tongue biopsy but not as much as having half your tongue taken out because we didn't catch it sooner." Murphy noted some of the early manifestations of oral cavity cancers include painful lesions, non-healing ulcers, abscessed teeth that don't respond to treatment, and swollen lymph nodes. Adenopathy, she said, deserves extra attention. Greene agreed. "A swollen, enlarged lymph node in the neck of someone over 40 is cancer until proven otherwise," he said. "You should be thinking cancer first. It's not something you should take lightly." If oral cavity cancer is caught in its early stages, Murphy said, "It's not only curable ... but curable without the aggressive treatments that are associated with significant morbidity." As pleased as oncologists are to catch the cancer early, Murphy added, "If it can be found in a pre-malignant stage, that makes us even happier." Red flags for pre-malignancy, she noted, include white or red plaque in those who might be asymptomatic or leukoplakia - the thickened, white patches that form on the gums, inside of the cheeks or floor of the mouth. 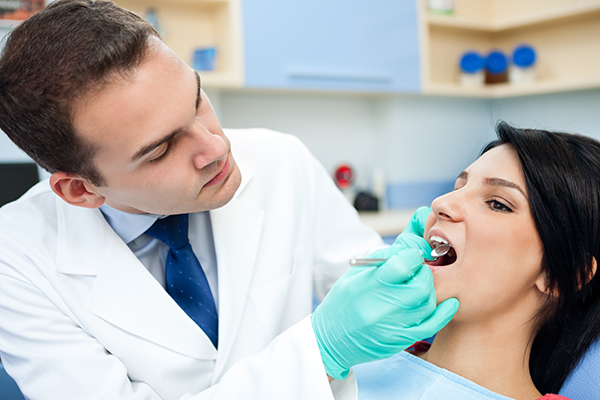 "Most oral cavity cancers are treated with surgery as a first line treatment," said Greene. "Then we use radiation and chemotherapy postoperatively as indicated by the pathology." Murphy noted the use of adjuvant therapy is often necessary but increases risks for patients. "Once you add on radiation or radiation with chemotherapy, the toxicities skyrocket," she said. Mucositis, an inflammation of the mucus membranes within the oral cavity, is a primary ... and extremely painful ... toxicity associated with radiation. "Even opioids don't work well on this pain," said Murphy. Edema is another issue arising from adjuvant treatments where the swollen tissues can create problems with swallowing and speaking. Murphy said thick salivary gland secretions are another complaint for patients that are almost as problematic as mucositis. Large lesions typical in later stage cancers pose a host of long-term issues for patients. "Can you resect large lesions? Yes you can, but the effect on the patient is going to be profound," said Murphy. "This is high dollar real estate in the mouth. When you go in and resect many of these tissues, there is going to be function loss." Speech, taste and swallowing are all potential casualties. Greene concurred, saying, "The surgeries for oral cavity can be pretty debilitating and disfiguring." In cases where the jawline is impacted, Greene said some surgeries take eight to 10 hours. "Usually we do two teams. One surgeon takes out the cancer, and another rebuilds it ... if the jawbone has to be rebuilt, that's stage 4." As with most cancers, treatment is most effective if the cancer is caught early. "Surgery is definitely curative," Murphy said of completely resecting smaller tumors. As the staging moves up the spectrum, the treatment plan becomes more complex and outcomes less assured. Greene said the five-year survivability rate for oral cavity cancer is over 90 percent for stage 1 cancers but as low as 25 percent for some stage 4 cancers. Although close in proximity and often linked together for the purpose of discussion, oral cavity cancer and oropharyngeal cancer are two different beasts, Murphy and Greene noted. "There's a big difference in treatment modalities and in etiology," Murphy said. "Draw a line right along the edge of your mandible - everything in front is oral cavity and everything behind is oropharynx." These cancers are often discovered later and therefore have a slightly lower five-year survival rate than oral cavity cancers. The American Cancer Society's 2017 statistics estimate 17,000 new cases of pharynx cancer will be diagnosed, and 9,700 people will die from all oral cancers with about one-third of those total deaths being from pharynx cancer. Greene said some of the signs and symptoms of oropharyngeal cancer include sore throat, persistent cough, ear pain, and a feeling like something is stuck in the throat. As with oral cavity cancers, Greene said smoking and drinking are risk factors for this type of cancer, as well. However, he continued, "We're seeing a lot of oropharynx cancers in people who have never smoked and who aren't heavy drinkers. These are mostly HPV-associated ... up to 70 percent of oropharynx cancers are associated with HPV." Murphy agreed, adding, "The number of HPV-associated oropharynx tumors is epidemic." On a positive note, HPV-associated oropharyngeal cancers respond better to treatment. "In typical head and neck cancer, when someone has stage 3, you're thinking a 50 percent five-year survival rate. For HPV-associated cancers stage 3, we're seeing 85 percent five-year survival," said Greene.